Before you send in your Topps cards to be graded by Beckett Grading Services (BGS), you might want to check with Topps first. Collector David Bach got lucky one day when opening a box of 2017 Bowman Chrome Draft. Inside, he found two 2017 Bowman Chrome refractor Aaron Judge cards and a 2017 Kris Bryant Finest Finishes card. These cards were not supposed to be in a 2017 Bowman Draft Box. All three cards were supposed to be signed and serial numbered, but were left blank. Not waiting around, Bach sent the cards into BGS to get graded. 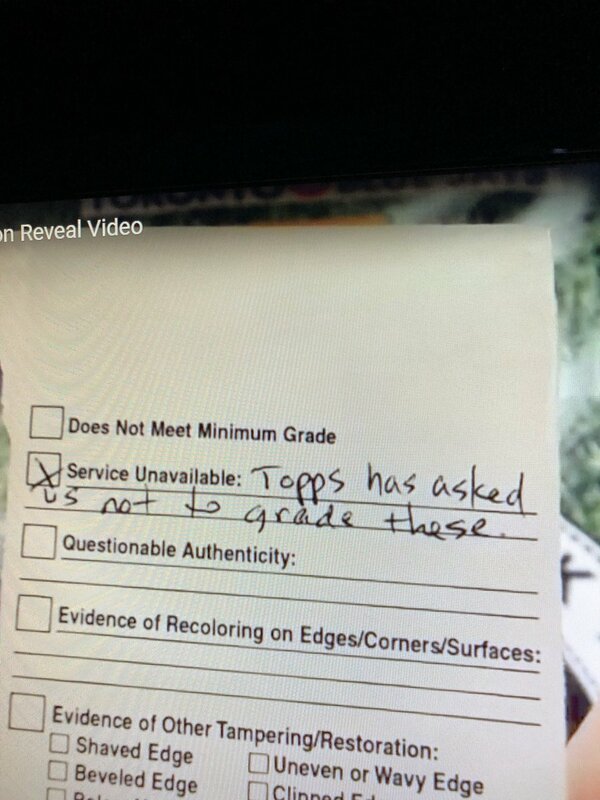 He was surprised to find out that BGS returned the cards in January 2018 as “Service Unavailable.” Stating in writing that Topps has asked us not to grade these cards. 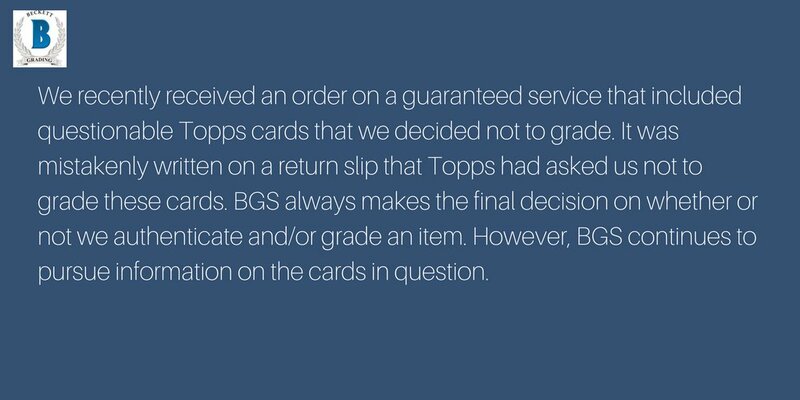 BGS, in an effort to save some manhood did release a statement, denying Topps asked them to not grade the cards. Why didn’t they then tell Bach they would now grade the cards?